In America, the potency of alcohol is measured in degrees of proof. Proof measures the amount of alcohol within spirits, a measure that runs from 0 to 200. 0 proof would be absolutely free of alcohol; 100 proof would be half alcohol; 200 proof would be pure alcohol. But why 200? This dates back to 16th century England, when spirits were taxed differently according to the amount of alcohol in them. 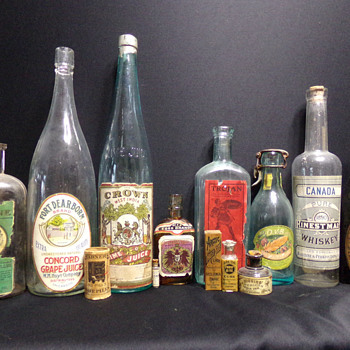 Tax collectors would perform a test to determine how much alcohol was in particular spirits. To conduct the test, a pellet of gunpowder would be soaked in the spirit, then removed to see if it would still burn. If the pellet burned after being soaked in rum, it was said to be “100 degrees proof”, and higher taxes were levied on it. The proof test was applied to other spirits, but rum was the one that was used to set the standard. At this time, there was no such thing as “200 proof”. The English scale in the 16th century went up to 175. Chemists knew that rum that was 4/7 alcohol would burn, so that’s where the “100 degrees” measure came from. “100 degrees” worked out to 57.14% alcohol. In 1816, England replaced the gunpowder test with a chemistry test, but kept the confusing math. In 1848, the United States developed its simplified system where “100 proof” means “50% alcohol”. The term proof, incidentally, derives from the Middle English word preove, which means to test. Since this was a test to determine the strength of alcohol, it was a proof. In the modern sense, proof is another word for evidence, and to prove something means to provide evidence. This old sense of the word lives on in this alcohol test, and also in the expression “the exception that proves the rule”. If we were to update that expression, we’d say “the exception that tests the rule” or “the exception that challenges the rule”, but old habits die hard. So do hangovers. Alcohol cannot reach 200 proof without assistance. Alcohol forms what it's called an azeotrope by binding with water. To remove that last bit of water it needs to be removed by using other agent which bins to that water. This is called de naturin. Sometimes toxic carcinogenic substances are used to do that so if you find denatured alcohol (200 proof) don't drink it.